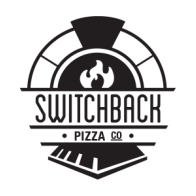 Switchback Pizza in Emmaus is hiring a line cook for 4-5days a week. Switchback is a scratch kitchen that makes wood oven pizza. We source must of our ingredients locally and work very closely with local farms to provide our customers with outstanding food. We have a CSA drop at our restaurant and have a vibrant customer base that makes our restaurant thrive. We are looking for someone whom wants to work for us for at least a year, we provide competitive pay, a great work environment and vacation pay. The position starts at the end of March.